British car maker Jaguar will set up a new technical development centre in Budapest, Foreign Minister Péter Szijjártó told public Kossuth Radio on Friday. 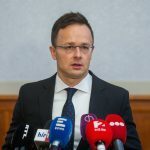 The new centre will focus on developing and introducing new models, Szijjártó said, adding that the company will primarily make electric cars from 2020 on. The facility will open early next year and employ 100 Hungarian engineers, he said. Jaguar has similar “classical workshops of intellect” only in the UK, Ireland, the US and China, Szijjártó said. He added that Jaguar’s selection of the place was motivated by Europe’s lowest corporate tax and other tax benefits linked to research and development, as well as the high level of technical education. Concerning the car making sector in Hungary, Szijjártó said that its production value would probably exceed 8,500 billion forints (EUR 26.4bn) in 2018, and added that in the first 8 months of the year the sector accounted for 28.2 percent of the country’s industrial production.